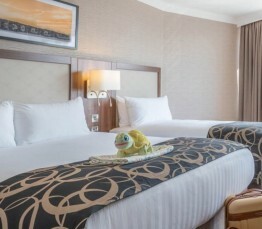 Escape with the family to Clayton Hotel Belfast and enjoy 2 nights stay with the Family. Complimentary use of the leisure facilities, 15 metre swimming pool, gym and sauna. Based on maximum of 2 adults and 2 children sharing a Family room. Cancellation 48 hours prior to arrival otherwise full charges apply. Offer subject to availability.